"The Warlock Wears Three Faces!" 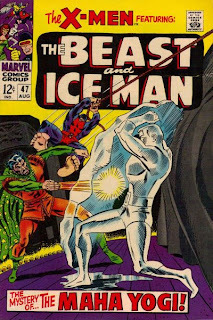 In a nutshell: Beast and Iceman fight Maha Yogi. Depressed following the breakup of the X-Men, Iceman and Beast meet up with their girlfriends. The performance by the Maha Yogi the girls want to see is sold out, so they go to the Cafe-A-Go-Go instead. Inside the theater, Maha Yogi is brainwashing the entire audience into becoming his unwitting servants. After Beast's opinions of the poetry being performed at the coffee shop start a fight and gets the group chased out, they discover four openings to the next Maha Yogi show. As the show starts, Beast and Iceman recognize him as their one-time foe, the Warlock. Or the One Where: Homer buys Lisa a pony. The Setup: After failing to bring Lisa the saxophone reed she needs for the school talent show, Homer buys her a pony to repair their relationship. 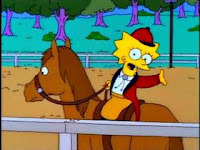 Notables Notes: Lisa's desire for a pony was established before this episode (it's actually mentioned in the very first episode, Simpsons Roasting on a Open Fire) but it comes to a head here. 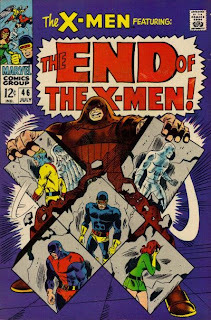 "The End of the X-Men!" 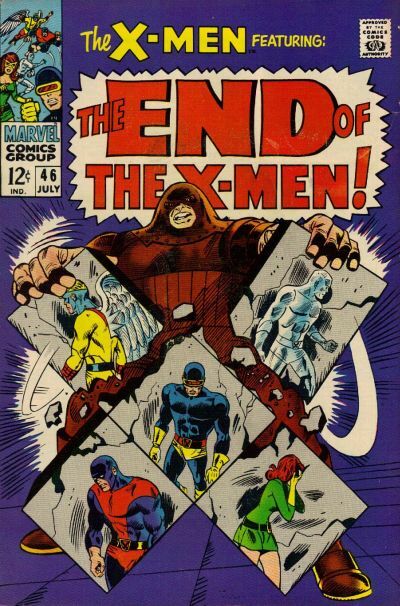 In a nutshell: Juggernaut returns and the X-Men disband. Following the defeat of Magneto, the X-Men gather at the grave of Professor X, faced with uncertainty over their next move. Fred Duncan, Xavier's liaison within the FBI approaches the team, asking to speak to them in private. They return to the mansion, where Foggy Nelson, of the law firm Nelson and Murdock, is waiting to read Xavier's will. 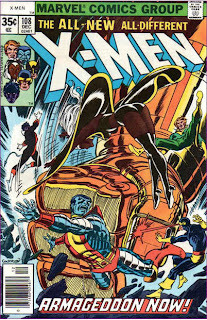 After the reading and Nelson's departure, the X-Men investigate a disturbance in the mansion's basement. They discover Juggernaut, seemingly returned from the Crimson Cosmos by an automated device of Professor Xavier's. 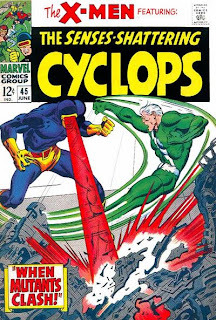 Worried that Angel has been gone too long and may have been recaptured, Cyclops strains his power against his bonds and manages to break free. He comes across the imprisoned Marvel Girl, but is unable to wake her from unconsciousness. 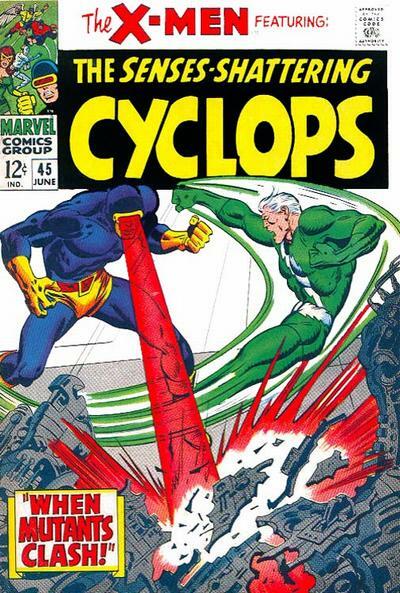 Knowing he can't face Magneto alone, Cyclops moves on, hoping to locate and free Beast and Iceman. Meanwhile, Angel arrives in New York City and proceeds to Avengers Mansion. 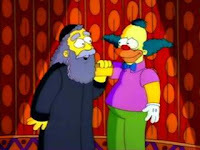 Or The One Where: Homer earns unwanted fame after averting a meltdown. 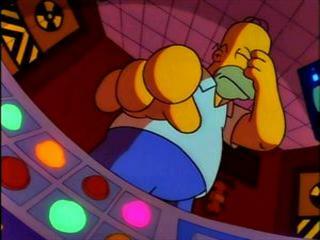 The Setup: By sheer luck, Homer manages to push the right button to stop a meltdown of the power plant. Notable Notes: Basketball player Earvin "Magic" Johnson guest-stars as himself in this episode, becoming the first pro athlete to appear on the show.